We also think that it would be good to add a relevant text by the blessed and very well-known monk Paisios, the Athonite, who recently slept in the Lord (12/7/1994). He wrote this text c. 1975, as a letter to someone, who had asked him about it. He gave it to a visitor to post in an open envelope and gave him permission to read it and to keep a copy. This visitor gave it to us and we hope that Elder Paisios will no longer have an objection to us publishing it for the spiritual benefit of many and as proof that experienced Elders agree that the prayer of the heart is not subject to measurement and subjugation. A simple way for ceaseless prayer, if you want to you can use it too, which probably helps simple people who cannot get the true meaning of the neptic Holy Fathers, and run the risk of delusion. Some (unfortunately) do not set the goal of putting off the old man (repentance, humility, and asceticism as a way of helping the sanctification of the soul) with a deep sense of their sinfulness. Then, they would naturally feel the need for Gods mercy, saying „Lord Jesus Christ, Son of God, have mercy on me,” often. This with pain in their heart and then the feeling of the sweetness of divine comfort of the most Sweet Christ within their heart. But unfortunately some people (as I mentioned) start off with a dry ascetic practice and seek after divine pleasure and lights and continually multiply their prayer-ropes and are sanctified by their calculation, reaching that conclusion (about their sanctity) from the mathematical reckoning of the greater amount of prayer-ropes they say. They also (naturally) make footstools to the exact inch and all the other things, the bending of the head towards the heart. They regulate their breath and whatever else the watchful Saint Kallistuses and Gregorys of the Philokalia say. Then they create the false sensation that they are somewhere near the measure of those Saints. From the moment they believe that thought, the tangalaki (the demon) immediately appears and sets up a television for them (with their fantasies) and devilish prophecies etc. of delusion follow. For this reason, only certainty is repentance and let every spiritual edifice be built upon it and let us continually seek repentance from God and nothing else except that. We should not ask for lights or miracles, or prophecies, or gifts of the Spirit, only for repentance. Repentance brings humility; humility will bring grace from God, because grace always goes to the humble, of necessity. Therefore, repentance is necessary for our salvation and when we have it, the grace of God will come and it will teach us what we need to do for salvation even of our fellows too, if it is necessary. Say it Sincerely from the Heart many times. In this way, which I mentioned (feeling the great need for Gods mercy), we will say the Jesus Prayer many times with our whole heart and we will feel, as I mentioned, the sweetness of divine comfort of the most sweet Jesus within our heart. The heart will (then) have our nous in tight embrace, as well as our whole being. Then, and only then, will prayer not be tiring, but rather it will give rest, because we have grasped the true meaning of it. Only then do we pray without putting pressure on ourselves, but we are pressurized by our sense of honor and dignity (philotimo), which gives rise to all our spiritual upstanding generosity (leventia). This produces the fluttering of the heart. Then the heart (however stony it may be) breaks and tears burst forth from their ducts (without an effort being made to weep during the time of prayer). You feel the need for this prayer like a hungry baby who opens its little mouth and runs into the arms of its mother to be suckled and at the same time feels very secure in its mothers loving care. Nobody doubts that the enemy will try to war against us and to disperse our thoughts. However, when preceded by a little bit of Patristic study (e.g. The Sayings of the Fathers) a lid is put on all our cares, great and small, and on the days temptations. So, it is transformed into another atmosphere, a spiritual one and you pray with concentration. If the enemy wages war with blasphemous thoughts (from his usual wickedness and envy) do not get upset. Instead, use the demon as your worker in the following way, by not getting upset, but by saying to the enemy: „Its a good thing that you brought me those thoughts so that I can say the Jesus Prayer, because otherwise I forget to pray without ceasing.” The enemy will then depart immediately, because he is only used to doing evil. I mentioned that because the enemy brings blasphemous thoughts to sensitive people (usually) to make them even more sensitive, to upset them and to cut them down. The same applies to some that struggle in vigil over and above their strength, and with pride. When they slacken, and they do not have the strength to banish the thoughts of the enemy. They think that those blasphemous thoughts are their own, and so they suffer without reason, while the thoughts are not their own, but those of the enemy. That is why young people should struggle in the matter of prayer with humility and discernment. They should prepare for the night. This, by not being distracted, by study and through moderate and simple food, which helps. As far as possible it should not be savory, to avoid drinking plenty of water, because that, too, is an obstacle, with the bloating that it causes. In this way, the person is helped with prayer. It helps a great deal if the light evening meal, however light it may be, takes place at around 4 o’clock (European time), after study, fathers and so on, or else 3 hours after the main meal. Small and great prostrations beforehand, and in between each prayer-rope, help a great deal, unfreezing the machines oil. Later, after getting quite tired, he should sit down and say the Jesus Prayer, since he brings to mind his wretchedness and the great favors of God that our good God has done for him. Then the nous is collected (as I mentioned, in the heart, on its own) and seeks Gods mercy with all his heart, with all his soul and with all his mind, without making a great effort. The three hours after sunset help a lot (having read patristic books before sunset), as well as after midnight until sunrise. For young people it is good for them to sleep one hour after sunset, with less prayer, and to get up after midnight, in order to avoid scandalous sleep of the morning. Naturally, discernment is required and guidance from their spiritual father, who is a requirement. From With Elder Porphyrios: A Spiritual Child Remembers, by Constantine Yiannitsiotis, pp. 70-74. Published by the Holy Convent of the Transfiguration of the Savior (Athens, 2001). Posted with permission by the Convent on Great and Holy Monday, 4/2/2007. “Through your prayer, you can sanctify yourself as well as your work. When there are new people at your place of work, first teach them how to become spiritually revived, and then show them the practical side of the work. I will give you an example to indicate that this is both for your own benefit as well as for the benefit of your fellow workers. 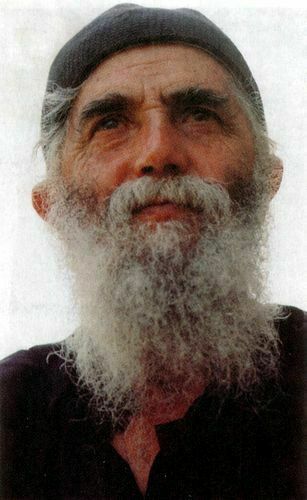 Elder Paisios always prayed wholeheartedly for everyone in the world. He dedicated the day to relieve the pain of people in grief and the night to God. He rested for a few hours in the early morning, in order to regain some strength after his all night prayers and be able to help people during the day. He used to read the whole Book of Psalms on a daily basis. Sometimes, he divided the hours of the night, for instance, from 9:00- 10:00 he prayed for God to protect those who return home late from work; from 11:00- 12:00 for those who travel, so they will not be involved in any accidents; from midnight- 01:00 for God to help people stay away from ill-reputed night clubs, where they usually spend the night. In general, he prayed for every situation, for the sick people in hospitals, the married couples involved in a quarrel, etc. Acest articol a fost publicat în Isihasm. Pune un semn de carte cu legătura permanentă.